Looking for a way to imprint your beliefs and inspirations somewhere permanent? 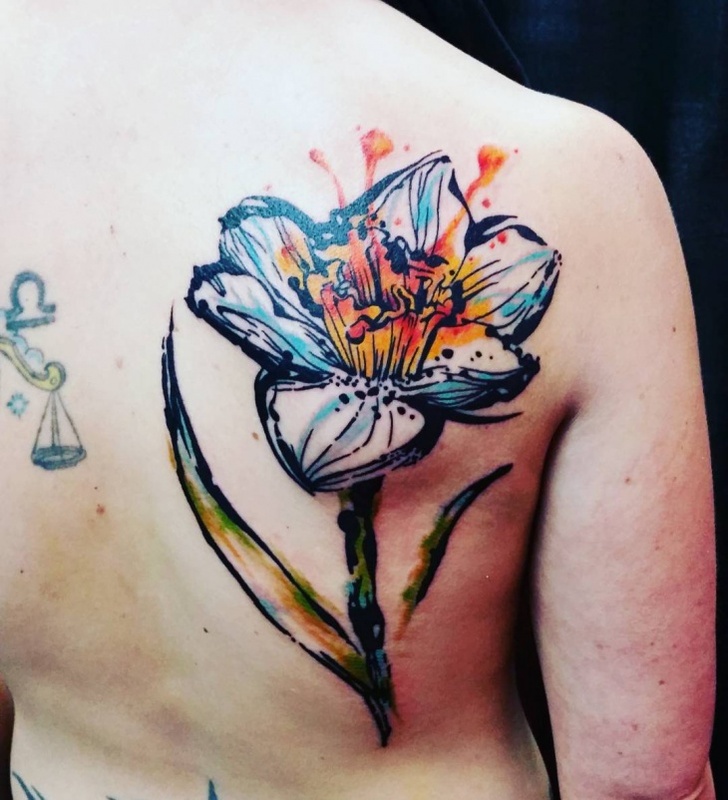 Body tattoos are pretty much your best solution these days, especially with the numerous options of designs, colors, and creativity. 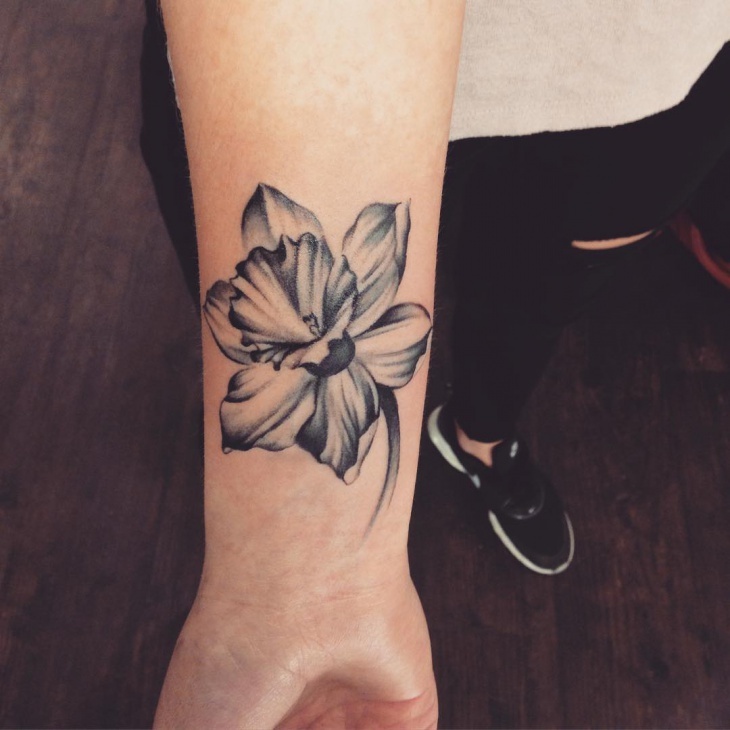 We have compiled a collection of daffodil tattoos here for you, if you prefer to go for themes like beauty, fairness, honesty or pure love. 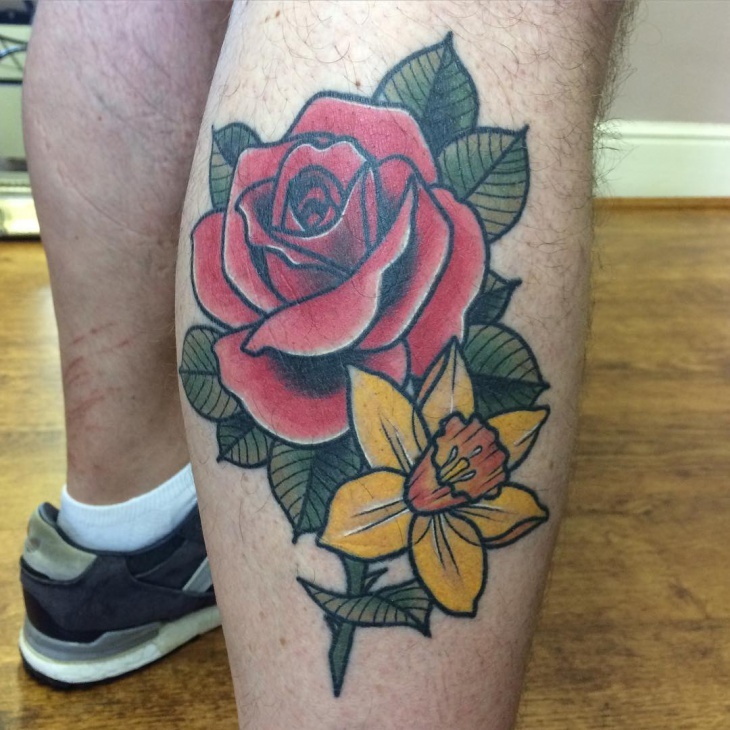 From bouquets to body tattoos and all possible places, daffodils have indeed come a long way!Go on, scroll down to find some wonderful options! 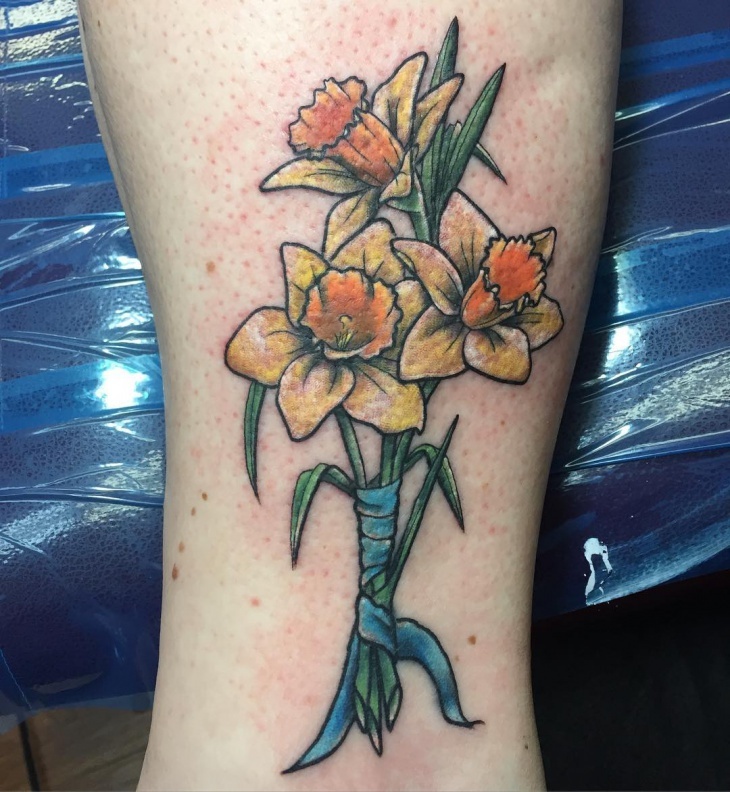 As we just said, daffodils have been used since centuries to represent purity and love, wrapped up in a bouquet. 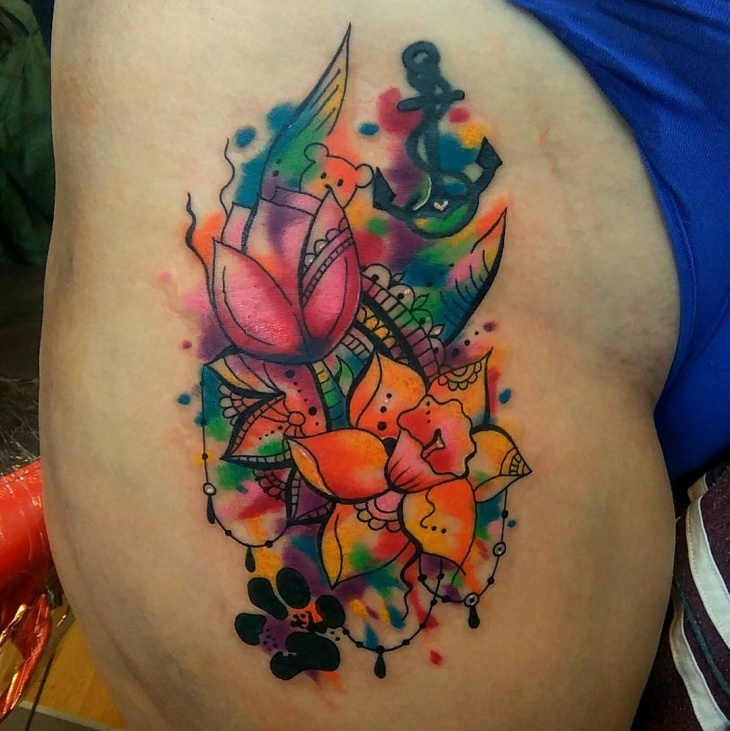 What better than to incorporate the entire concept in a tattoo? With a simple blue ribbon wrapping up your favorite flowers, this will be like carrying your heart right on your sleeve! 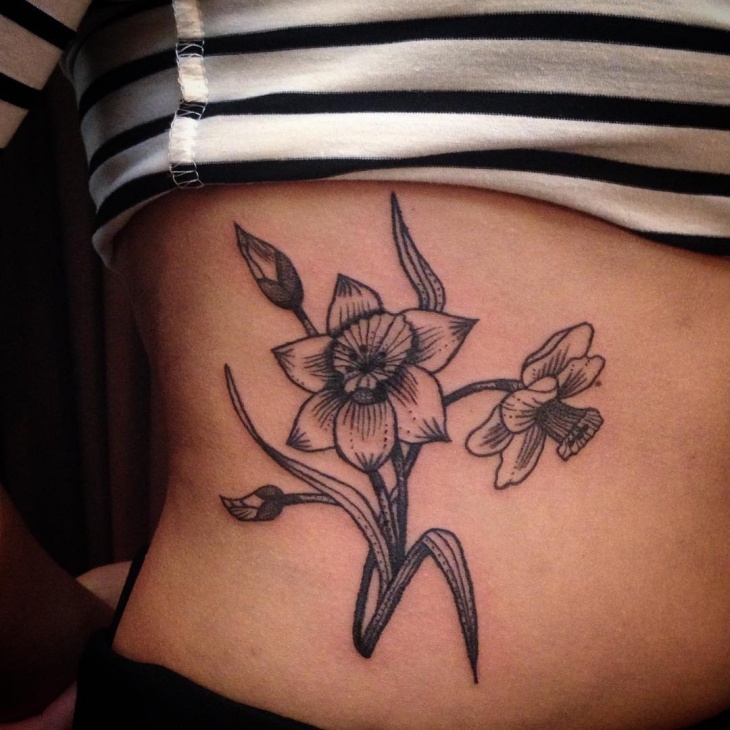 While daffodils might be a symbol of love and purity, life isn’t always so simple! Here’s mixing them up with some gorgeously violet wildflowers to give a more natural feel to the entire setting. If you go for a similar design, do not forget to include in the small clover leaves for luck! 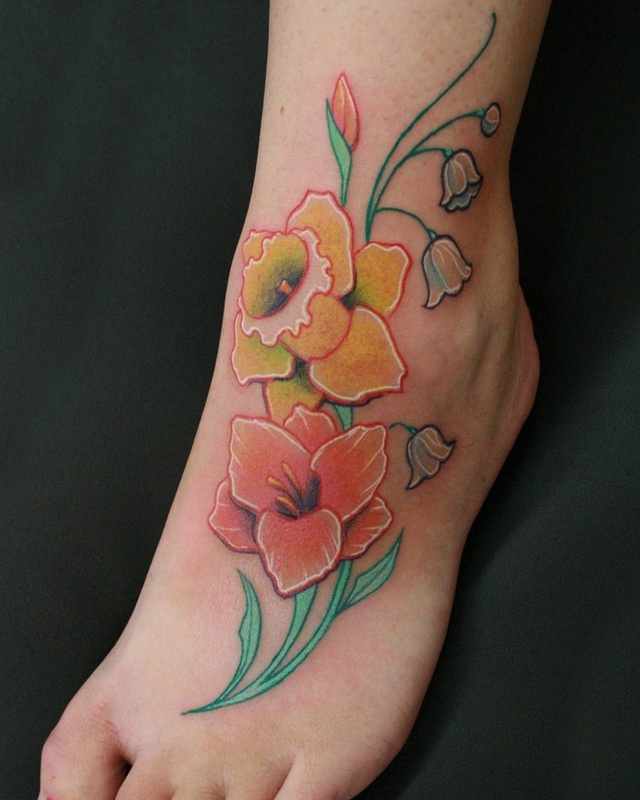 Another perfect pairing with a rose and a daffodil, the beauty here is in capturing the wonderful details so simply. See the petals of the rose fading outward? 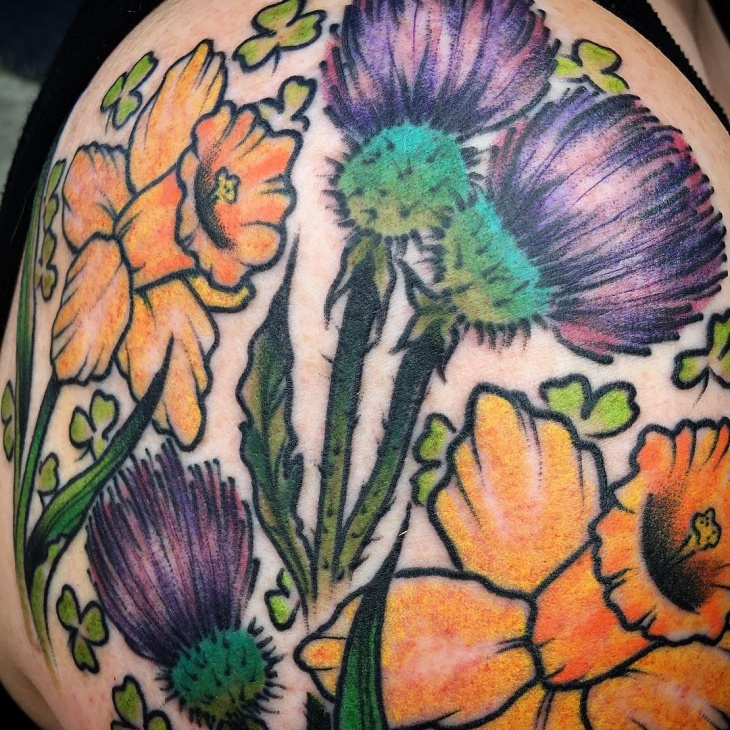 Or the green leaves so perfectly shaded? 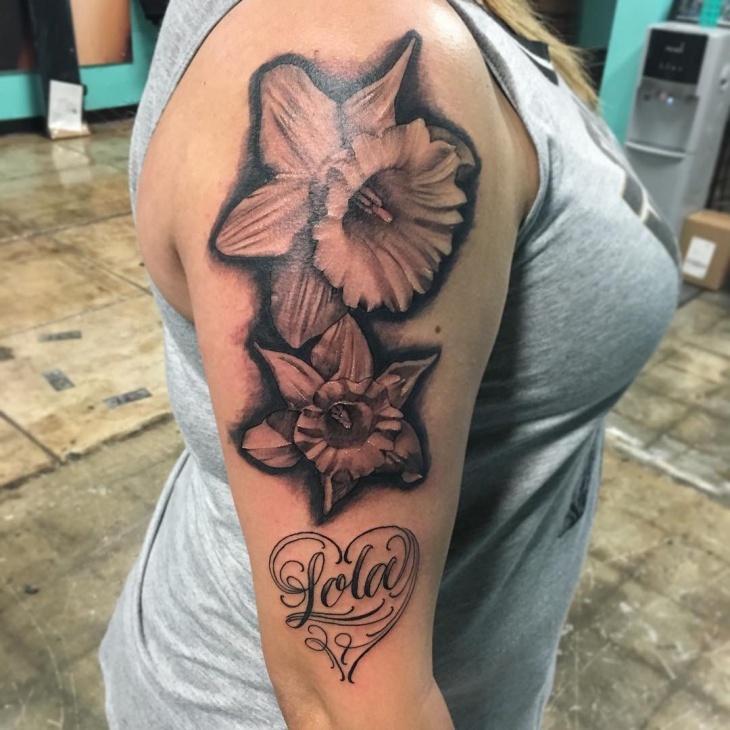 Go for a larger-sized tattoo for this one; more the details, better the final result. 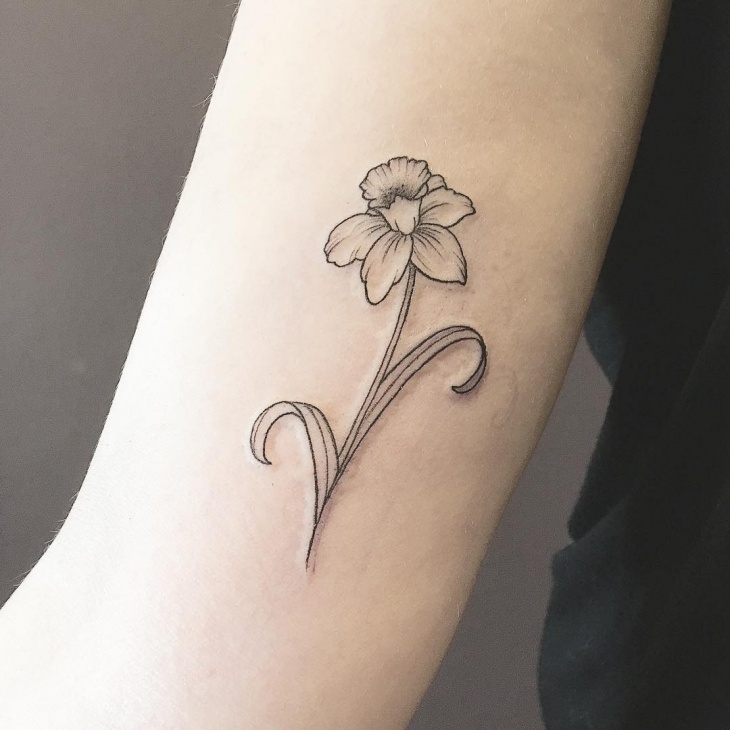 One of the prettiest of the collection, this daffodil tattoo has been done only in pure black ink, with absolutely beautiful strokes and shading done in to achieve this look. Remember the trick here: Do not get very strong outlines, and keep the details as soft as possible. 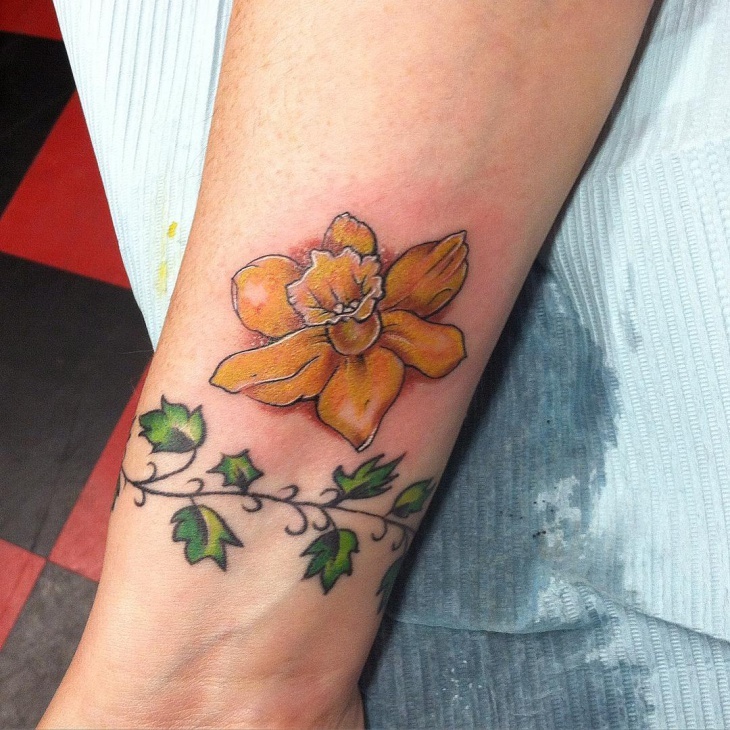 A simple daffodil tattoo such as this might suffice to portray your message as well. 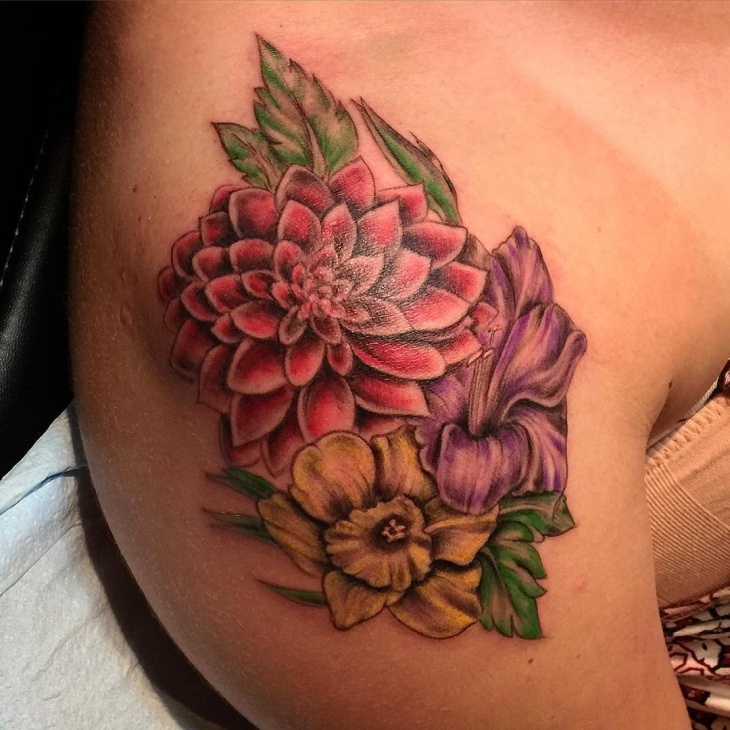 A spring-time new flower is supposed to denote rebirth of a spirit; we believe that is exactly what the person here was aiming for. 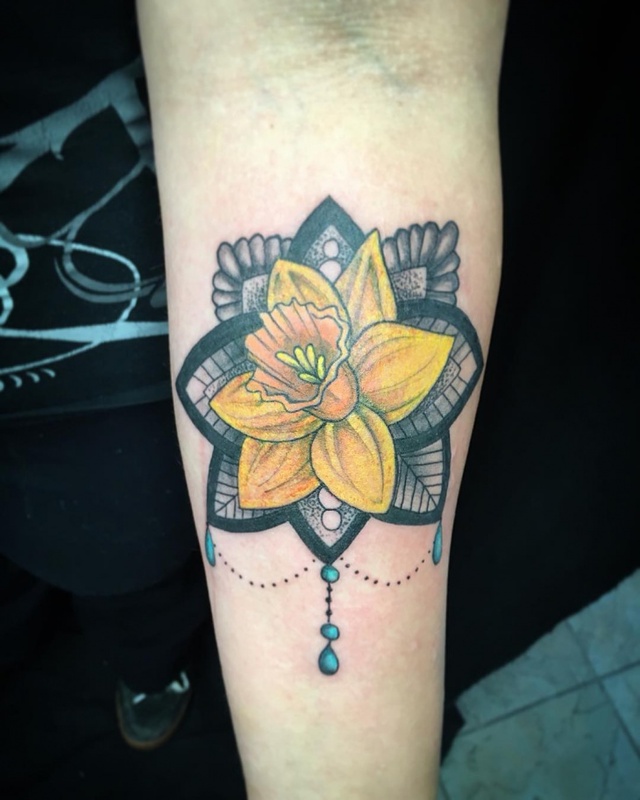 Another one from the superb detailing section, this tattoo has the Welsh daffodils, with a gorgeous circle of petals forming outwards to give that chakra look. It is often considered as a symbol of otherworldly beauty, and why not, it pretty much looks unblemished itself! 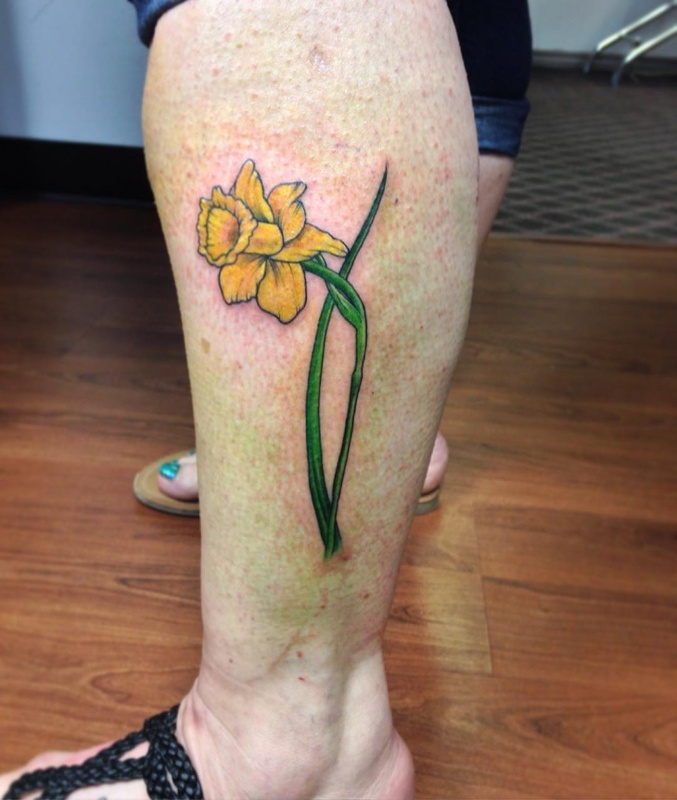 People these days love getting stars and chains done on their ankles, but how about a daffodil flower tattoo instead? It will give you that necessary break from the usual, and will brighten up your legs whenever you wish to bare them! 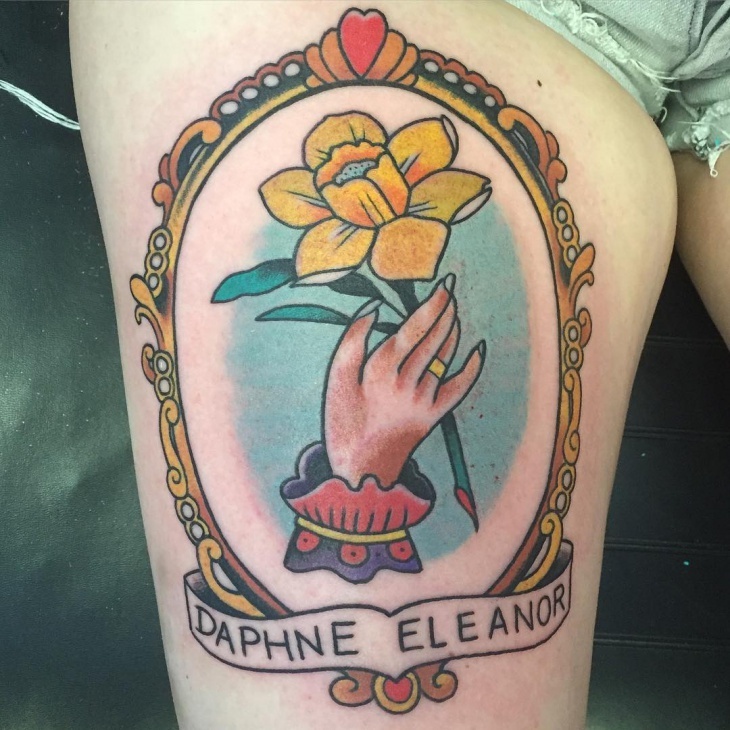 Oh, we are absolutely in love with this stunning inspirational design! 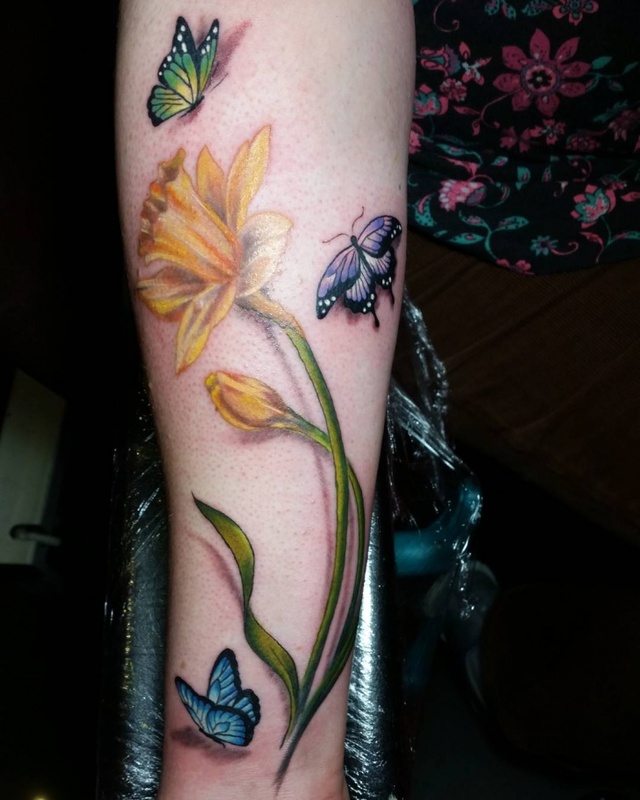 With that beautiful long-stemmed daffodil towering in the center and the pretty little butterflies fluttering, this piece took our breath away at the first look. 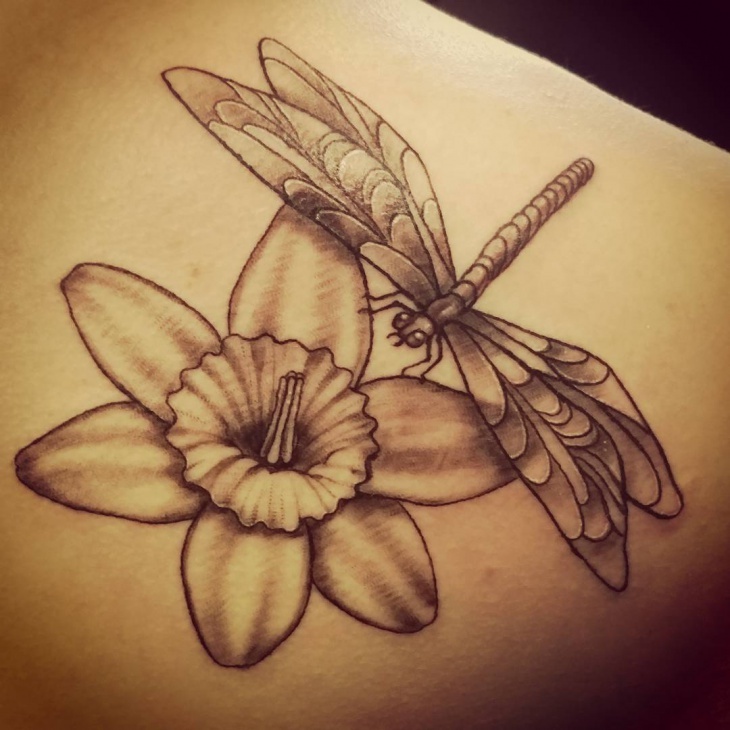 Daffodils and dragonflies – both are identified as spiritual symbols of an everlasting purity and the rebirth cycle. And do you see the magnificent details that have been engraved on the wings of the dragonfly? 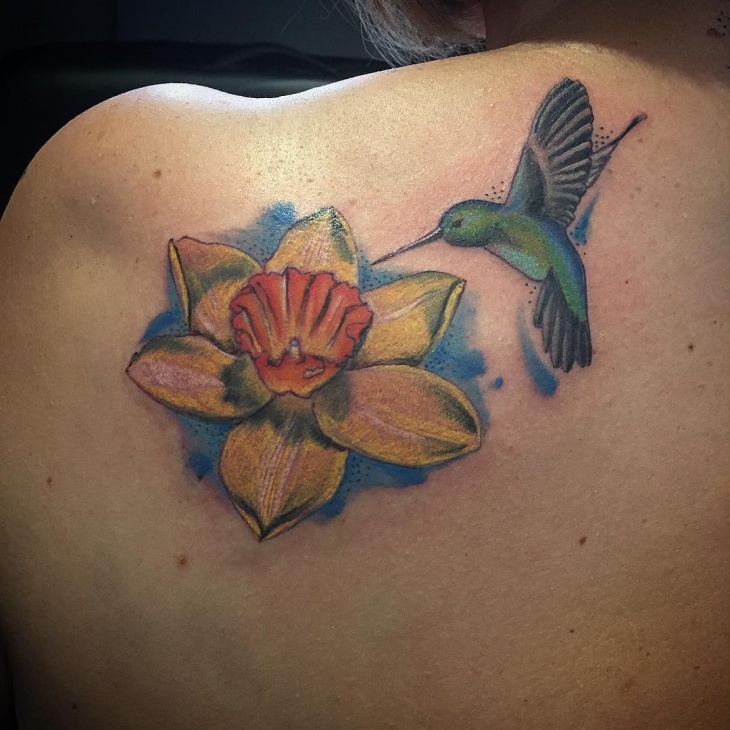 Another one from the coloured collection, this one features a hummingbird along with the daffodil; creating the symbolism for peace and love for eternity. 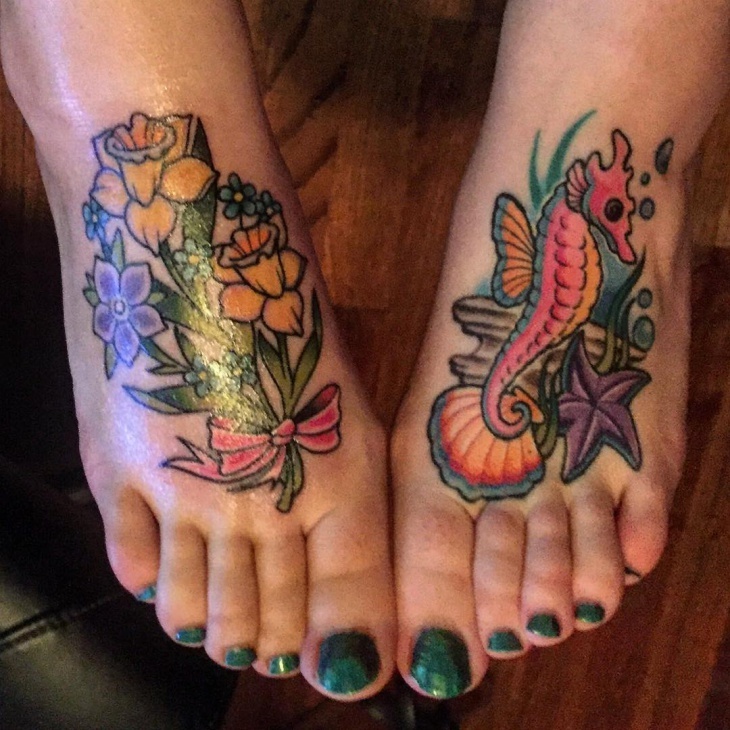 Of course, the flapping wings of the hummingbird add much liveliness to the entire tattoo! 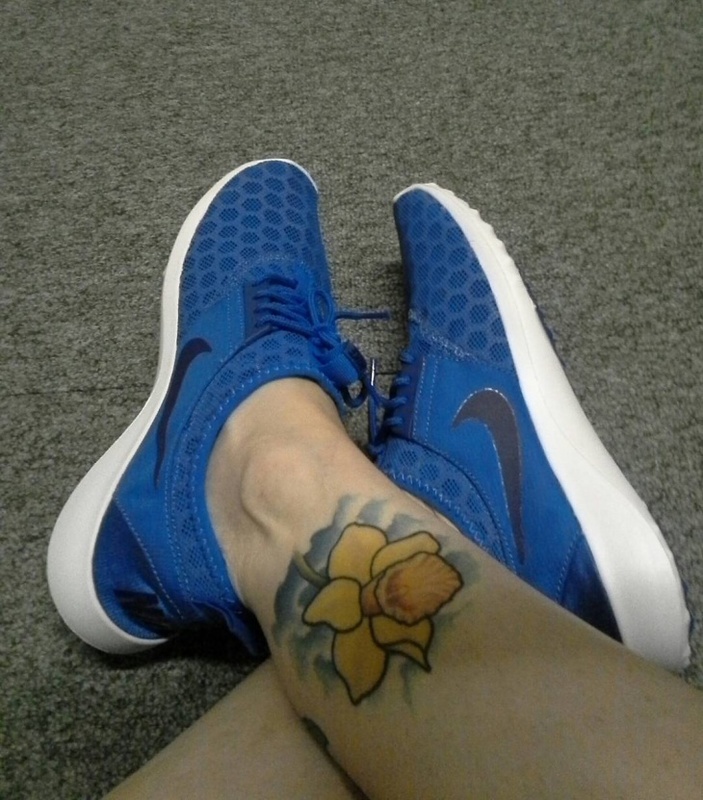 A unique, beautiful and personalized form of art, tattoo, becomes an inseparable part of a person. 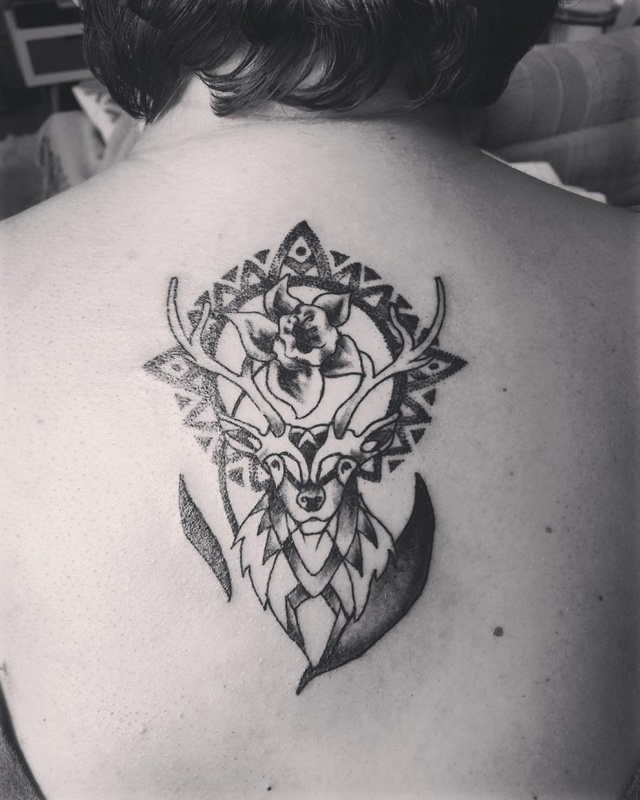 As their basic purpose is to depict the beliefs or inspirations of an individual, the design variations in tattoos are so many, it is practically difficult to arrive on a few selected ones for your next session! Give daffodils a try next time – and don’t forget to come back and share your experiences with us!